The Lewis Gun (or Lewis Automatic Machine Gun) is a World War I–era light machine gun of American design that was perfected and widely used by the British Empire. It was first used in combat in World War I, and continued in service with a number of armed forces through to the end of the Korean War. It is visually distinctive because of a wide tubular cooling shroud around the barrel and a top-mounted drum-pan magazine. It was commonly used as an aircraft machine gun, almost always with the cooling shroud removed, during both World Wars. The Lewis Gun was invented by US Army Colonel Isaac Newton Lewis in 1911, based on initial work by Samuel Maclean. Despite its origins, the Lewis Gun was not initially adopted by the American military—most likely because of political differences between Lewis and General William Crozier, the Chief of the Ordnance Department. Lewis became frustrated with trying to persuade the US Army to adopt his design and so ("slapped by rejections from ignorant hacks", as he said), retired from the army. He left the United States in 1913 and headed to Belgium (and shortly afterwards, the UK). 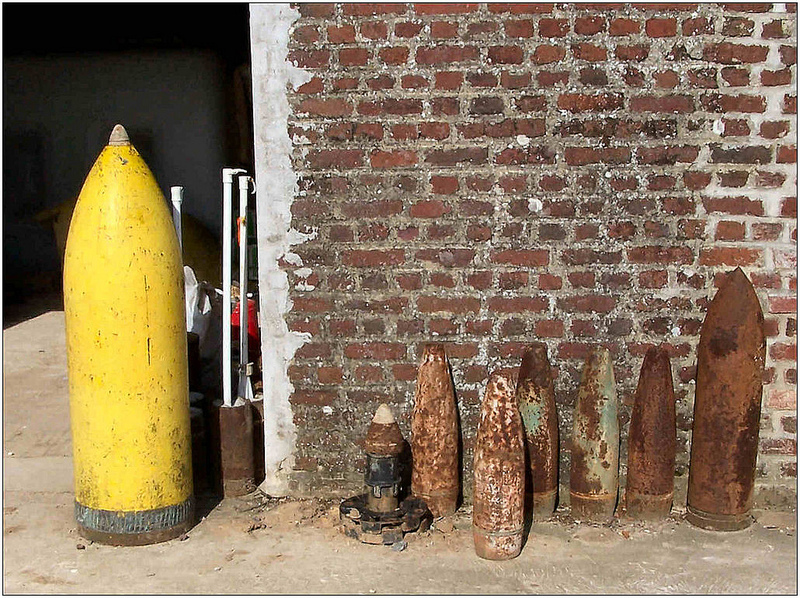 He established the Armes Automatique Lewis company in Liege to facilitate commercial production of the gun. Lewis had been working closely with British arms manufacturer The Birmingham Small Arms Company Limited (BSA) in an effort to overcome some of the production difficulties of the weapon. 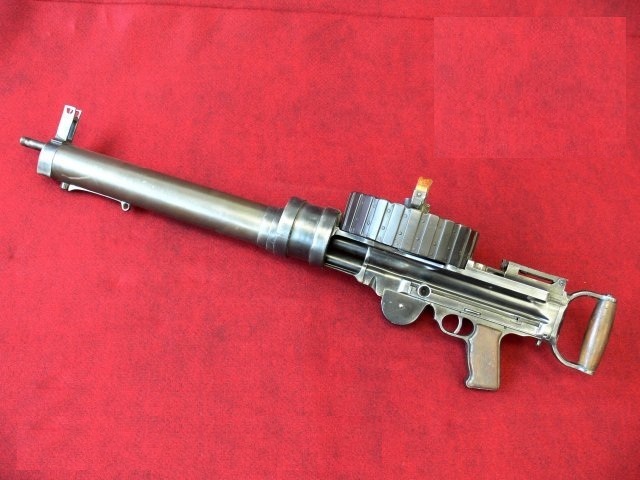 The Belgians quickly adopted the design in 1913, using the .303 British round, and in 1914, BSA purchased a licence to manufacture the Lewis Machine Gun in the UK, which resulted in Col. Lewis receiving significant royalty payments and becoming very wealthy. 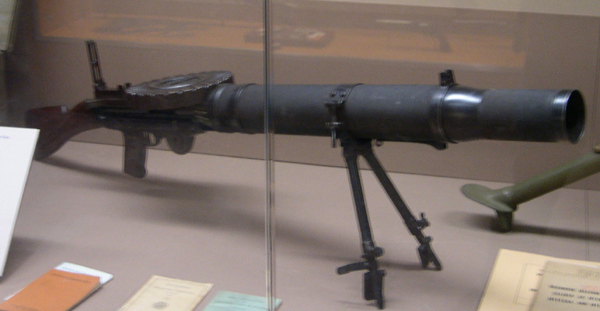 The onset of World War I increased demand for the Lewis Gun, and BSA began production (under the designation Model 1914). The design was officially approved for service on 15 October 1915 under the designation "Gun, Lewis, .303-cal." No Lewis Guns were produced in Belgium during World War I; all manufacture was carried out by BSA in the UK and the Savage Arms Company in the US. The Lewis was only produced by BSA and Savage Arms during World War I, and although the two guns were largely similar, there were enough differences to stop them being completely interchangeable. BSA-produced weapons were not completely interchangeable with other BSA-produced Lewis guns, although this was rectified during World War II. The gun was designed with an aluminium barrel-casing which used the muzzle blast to draw air into the gun and cool down the internal mechanism. There is some discussion over whether the cooling tube was effective or even necessary—in the Second World War many old aircraft guns which did not have the tubing, were issued to anti-aircraft units of the British Home Guard and to British airfields. Other weapons were used on vehicle mounts in the Western Desert and did not suffer without the tube. They were found to function properly without it, leading to the suggestion that Lewis had insisted on the cooling arrangement largely to show that his design was different from Maclean's earlier prototypes. 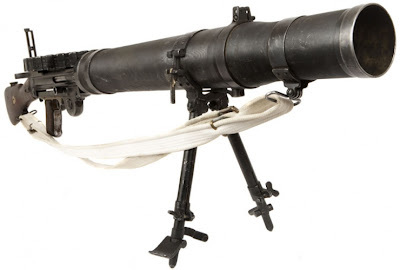 Only the Royal Navy retained the tube on their deck-mounted AA-configuration Lewis Guns. An interesting point of the design was that it did not use a traditional helical coiled spring, but used a spiral spring, much like a large clock spring, in a semicircular housing just in front of the trigger. The operating rod had a toothed underside, which engaged with a cog which wound the spring. When the gun fired, the bolt recoiled and the cog was turned, tightening the spring until the resistance of the spring had reached the recoil force of the bolt assembly. At that moment, as the gas pressure in the breech fell, the spring unwound, turning the cog, which, in turn, wound the operating rod forward for the next round. 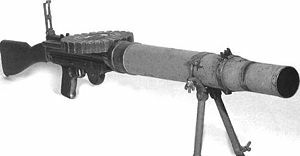 As with a clock spring, the Lewis Gun's recoil spring had an adjustment device to adjust the recoil resistance for variations in temperature and wear. Unusual as it seems, the Lewis design proved enduringly reliable, and was even copied by the Japanese and used extensively by them during World War II.